Flagler County’s unemployment in February fell sharply again, to 5.3 percent from 6 percent the previous month, even as the labor force in the county surged for the second month in a row, to just under 46,000–a record–as did the number of residents holding jobs. While Flagler County’s number of unemployed grew by 11 percent month-over-month, the county also saw a very large increase of 600 people in its workforce, pointing to optimism about the county’s climate. 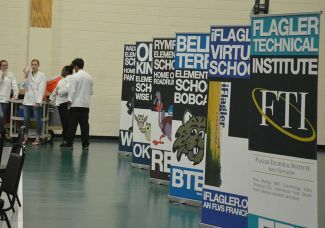 For the past 13 months, Flagler County’s unemployment rate has been stuck within in narrow band in the mid-5.5 percent range, bottoming out at 4.9 percent last May and peaking at 5.7 percent three times along the way. It’s the longest job-creation streak in the nation’s history, but wages dropped in October by 0.1 percent and the decline in the unemployment rate was due more to a decline in the labor force than because of job creation. When Florida’s under-employed and discouraged workers are included, the state’s unemployment rate zooms up to 10.6 percent, higher than the national rate of 9.6 percent.